Nothing generates extreme experiences for me quite as efficiently as my various sports. And of the three main ones, it’s my newest passion — stand-up paddleboarding — that’s producing both the most and the most extreme. Now this may of course simply be that I’ve not been doing it that long and everything’s still pretty much a voyage of discovery, but I can hand on heart say that I can’t remember the last time I took part in consecutive running events over the same course that were quite so starkly different. 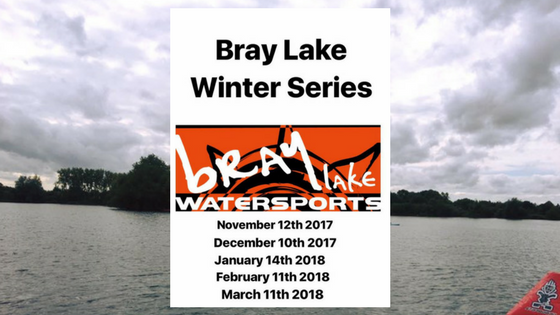 You may recall that a month ago I was a very happy bunny indeed after winning my first-ever SUP race for novice women at my home from home, Bray Lake. I said then, and I’ll say it again now: the conditions could not have been better and the longer course suited my endurance sports background nicely. And you may possibly also recall that back in November I recorded a dismal DNF (did not finish) in the first in the race series after battling a gale and falling in. Lots of lessons learned that day. There was another race in December in which I came an unremarkable third of three, so there was a fair bit hanging on the fourth in the series. I wake up five days before the big day with a cold. Now — like most runners — I do have a rule of thumb with colds: if they stay above the chest, they’re negotiable; as soon as a cough kicks in, sport gets kicked out. So huge relief when the sneezing began to subside on Day 3 and by the day before the race I felt sufficiently restored to risk testing the water (as it were). A lap of nicely unruffled Bray later and the conclusion was that I had a distinct — and unsurprising — energy shortfall, but nothing worse. And what it brought was a weather replay of that very first race: a westerly wind strong enough to whip up proper white-capped waves for a large chunk of the course and the unavoidable prospect of paddling straight into that for a significant section. Oh great. I can’t wait. But hey — at least it wasn’t raining. We battled a crosswind to the start line at the calmer end of the lake and once away, the first 500 metres were fine. 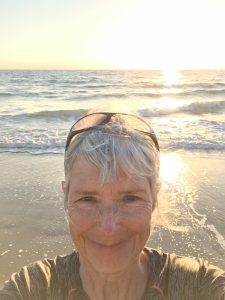 Then it got pretty brutal, and I could really feel where the virus had done its worst: this was seriously hard going, but I kept paddling and paddling, using short, fast strokes, and soon enough I’d turned around a buoy and the wind was mostly on my back. And then, as I prepared to change direction again and head back to the start for Lap 2, guess what? But this time I did not wimp out. It was cold — about 4C — but because I swim in that lake all year it wasn’t a massive shock. I’d also wisely chosen to go the wetsuit route this time, just in case, so I just climbed back on my board and started off again. And actually, I felt fine as I was working way too hard to get cold! My unscheduled dip cost me time of course, but I managed to pull back into second place pretty quickly and was exceedingly chuffed to cross the line runner-up and just 16 seconds behind my closest rival, who richly deserved her win. So second of five novice women and a podium place again — and in many ways a harder won place than last month’s win because the conditions were so challenging and I was definitely not firing on all cylinders. What it means — for me and for my rival — is that our technique is starting to improve, and that is so rewarding. On to the last in the series now: same venue, same equipment, and we’ve so far gone from one extreme to another and then back again. What will the finale bring?